When I offered up My one and only Son, I gave you the best gift I could give. how would he not also with him freely give us all things? Christmas marks the one day in the year where gifts are given and received around the world. I could not think of a more appropriate day to talk about the greatest gift that our Father could give. On a day that we celebrate the birth of God's only begotten Son, may we also be reminded of the reason why Jesus came to earth. 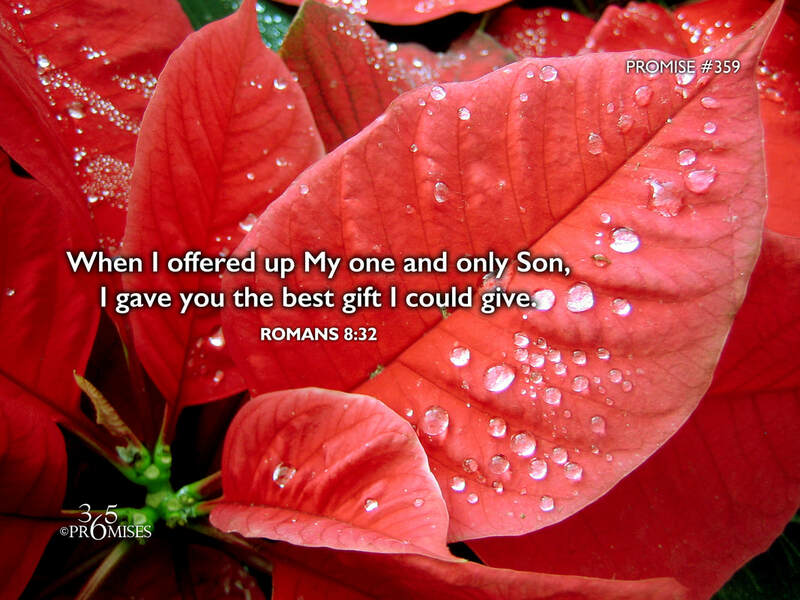 In John 3:16 we read that God so loved the world that He gave His only Son... It was the Father who gave us everything He could possibly give when He sacrificed the life of His treasured possession. In today's promise, Paul the Apostle reminds us of this incredible gift. God did not spare His Son, but delivered Him up to the most excruciating death on a cross in order that we could be born into His family. The greatest gift that you could receive this Christmas day, is a deeper revelation of just how much our God and Father loves you. He gave up everything He loved in order to gain your love. May the revelation of His love go even deeper into your heart today and may the cross of Jesus Christ always be the ultimate symbol of our Father's greatest gift to you.